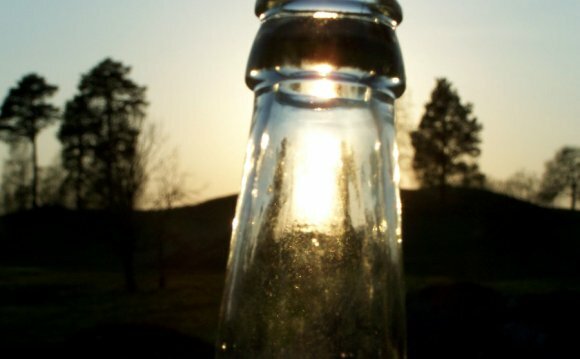 Some fear plastic bottles may release harmful ingredients when exposed to the sun. If you regularly buy bottled water, you are not alone. The U.S. Environmental Protection Agency reported that more than 2.6 million tons of plastic bottles with resin code PET were generated in 2010. (See Reference 1, Page 8) Some may view bottled water as a healthier alternative to other beverages, such as carbonated soft drinks, but plastic water bottles present something of a conundrum. On the one hand, you may find them useful, especially for refilling and reusing them again; reuse helps reduce landfill waste. On the other hand, a concern exists that plastic bottles may release harmful ingredients when exposed to the sun. While SODIS may be effective, you may not be able to replicate the process easily. Besides the time consideration, the condition of the water bottles may also affect bacteria development; used bottles with scratches from wear may harbor bacteria. (See Reference 3) In addition, the intensity of UV light presents a factor you cannot control. While in certain conditions sun exposure may inhibit bacteria, it can redevelop once the bottle is out of the light.